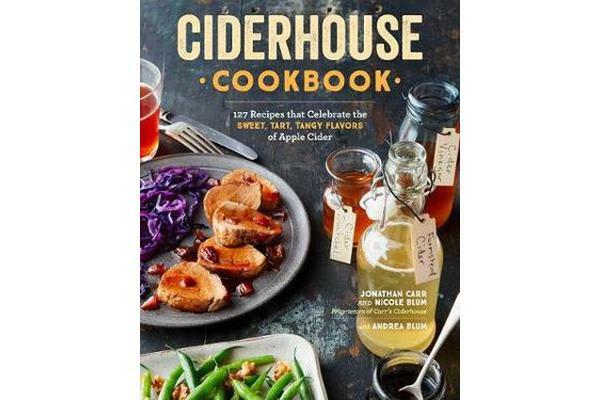 Inspired by the full flavours emanating from their idyllic ciderhouse located in the heart of a rustic New England apple orchard, Jonathan Carr and Nicole Blum’s recipes celebrate the versatility of fresh cider in all its forms. 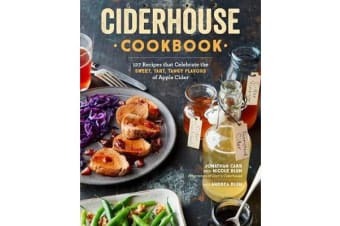 Ciderhouse Cookbook teaches home cooks how to make a full array of traditional cider products, including cider syrups, molasses, vinegars, shrubs, and switchels, as well as apple preserves. The 127 cider-enriched recipes that follow are simple yet elegant, ranging from Oven-Roasted Asparagus with Garlicky Apple Vinaigrette to Braised Lamb Stew with Apples, Switchel, and Yogurt Mint Sauce; Cider Mimosas; Apple Pommeau Cake; and Crepes with Fried Apples and Cider Caramel Sauce. With beautiful photography that captures the ambiance of the ciderhouse, this book is a deliciously loving tribute to America’s favourite fruit.